This topic provides an overview of the social sharing properties that can be configured for a player. 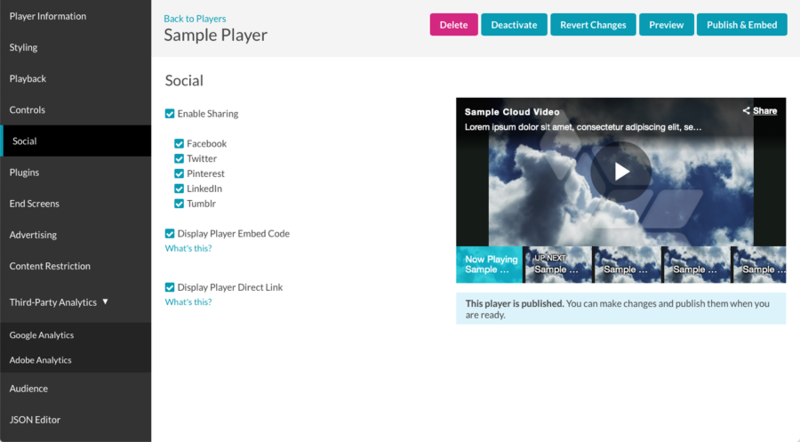 Players can be configured so the video content can be shared to popular social media sites. When social sharing is enabled, a share icon will appear in the title and description dock. Note: If the player settings are set to not display the title and description, the share icon will appear at the bottom of the player next to the playhead. When the sharing icon is clicked, the selected sharing options will appear allowing the video to be shared. Click the checkbox to Enable Sharing and select the social media sites that the video can be shared to. 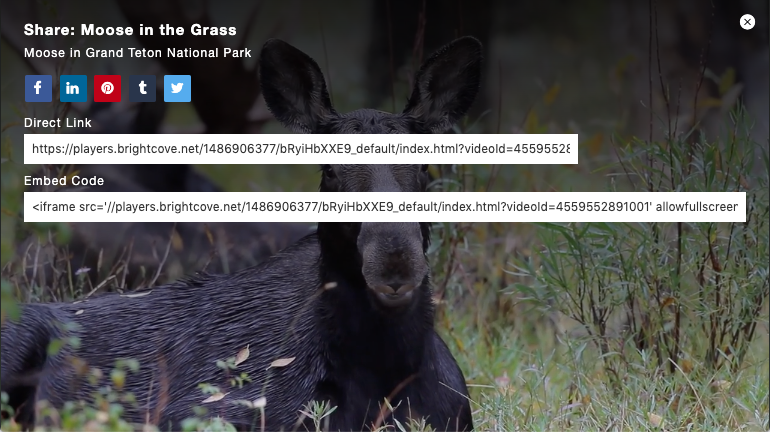 Check Display Player Embed Code to allow the viewer to copy the player embed code when the social sharing options are displayed. Check Display Player Direct Link to allow the viewer to copy a direct link to the player when the social sharing options are displayed.